Bowie State University (“Bowie State”), is a public university located on 355½ acres (1.4 km²) in unincorporated Prince George’s County, Maryland, United States, north of the suburban city of Bowie. Bowie State is part of the University System of Maryland. Bowie State is Maryland’s oldest historically black university and one of the ten oldest in the country. It’s nickname is the Bulldogs and Lady Bulldogs and the University is a member of the Central Intercollegiate Athletic Association. Their colors are Black and Gold and their motto is Prepare For Life. Bowie State University is an outgrowth of the first school opened in Baltimore, MD, on January 9, 1865, by the Baltimore Association for the Moral and Educational Improvement of Colored(African American) People. In 1908 the school was renamed Normal School No. 3 after the state Board of Education provided funding for and assumed control of the institution. By 1914 the school had moved to Prince George’s County, Maryland and become known as the Maryland Normal and Industrial School at Bowie. In 1925, under the auspices of Dr. Leonidas S. James, a two-year professional curriculum in teacher education was created and was later expanded to a three-year program. In 1935, a four-year program for the training of elementary school teachers began and the school was renamed Maryland State Teachers College at Bowie. It became the Maryland State Teachers College at Bowie in 1935. In 1963, a liberal arts program was started and the name was changed to Bowie State College. In 1970, Bowie State College was authorized to grant its first graduate degree, the Master of Education. On July 1, 1988, Bowie State College officially became Bowie State University, a change reflecting significant growth in the institution’s programs, enrollment and service to the local area. 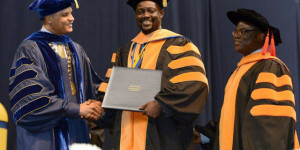 In 1995, Bowie State University won an 11-year $27 million award from the National Aeronautics and Space Administration/National Science Foundation to become one of only six national Model Institutions for Excellence in science, engineering and mathematics. The campus comprises over 24 buildings with more than 988,897 square feet (92,000 m²) of space. The campus is located in Bowie, Maryland between the metropolitan areas of Baltimore (25 miles) and Washington D.C. (17 miles). An on-campus MARC Train station and Metrobus stops provide access to local transit. It is a wireless campus equipped with Wi-Fi and public computer labs across campus for student use. Bowie State provides more than 5,600 students with a rigorous academic program and the individual support they need to be prepared to compete in a changing world. 92% of full-time professors holding at least a master’s degree and 64% holding PhDs. 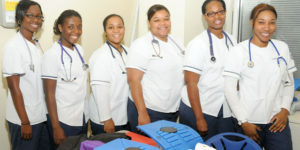 Forbes magazine recognized Bowie State as one of America’s Top Colleges for 2011. Bowie State University instituted the first study abroad program to Ethiopia by a University System of Maryland institution in 2011 engaging students in international trade initiatives. 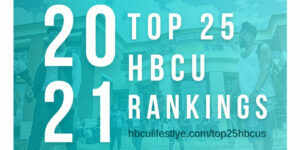 U.S. News & World Report ranks Bowie State among the top 30 historically black colleges and universities.